SINGAPORE - Since taking on his new portfolio earlier this month, Transport Minister Khaw Boon Wan has been effusive in his praise of Hong Kong's Mass Transit Railway (MTR), calling it the "best in class". He identified the MTR, which is run by the MTR Corporation, as the system that local rail operators SMRT and SBS Transit should use to benchmark reliability standards. 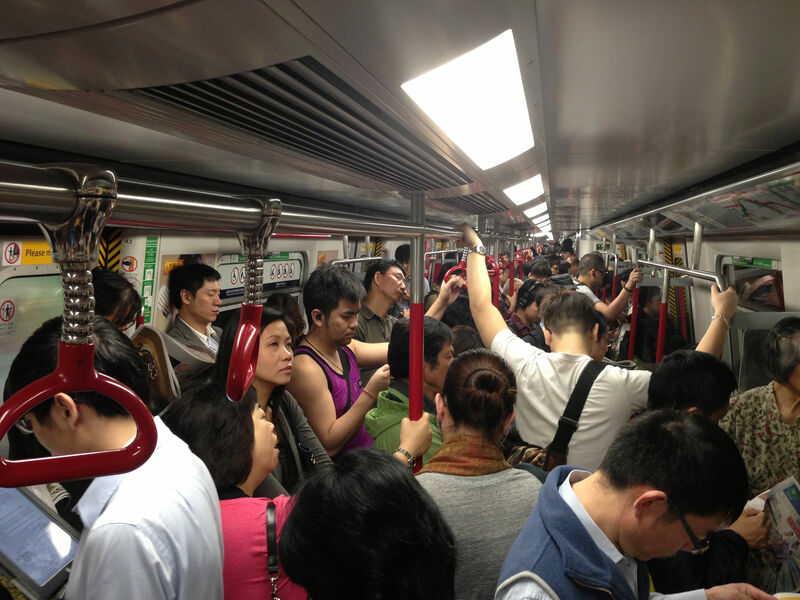 Here are six things to know about the MTR. MTR Corporation (MTRC) is not just a public transport operator, but also a profitable public-listed conglomerate that was privatised in 2000. The privatisation was part of an initiative by the Hong Kong government to dissolve its ownership in public utilities so as to reduce expenditure and boost overall efficiency, although it remains MTRC's major shareholder with a 76 per cent stake. Its annual fare revenue stands at HK$11.3 billion (S$2.04 billion). In 2014, it made HK$15.6 billion (S$2.82 billion), including revenue from property. Between January and June 2015, the system's farebox recovery ratio (the percentage of operational costs covered by fares), which measures the efficiency of a railway's pricing, was 187 per cent - the world's highest. In comparison, Singapore's stands at around 125 per cent, while the London Tube and the New York subway come in at 90 and 51 per cent respectively. 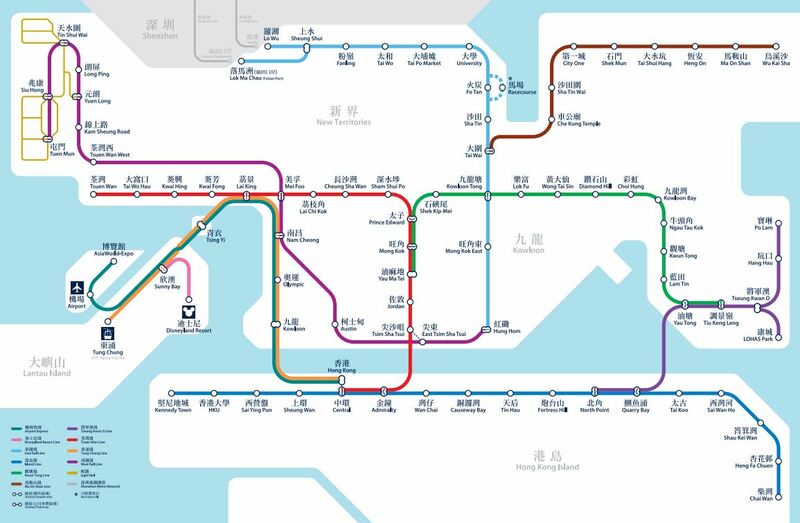 There are 155 stations, including 87 railway stations and 68 light rail stops spread over nine main commuter lines which serve Hong Kong Island, Kowloon and the New Territories. 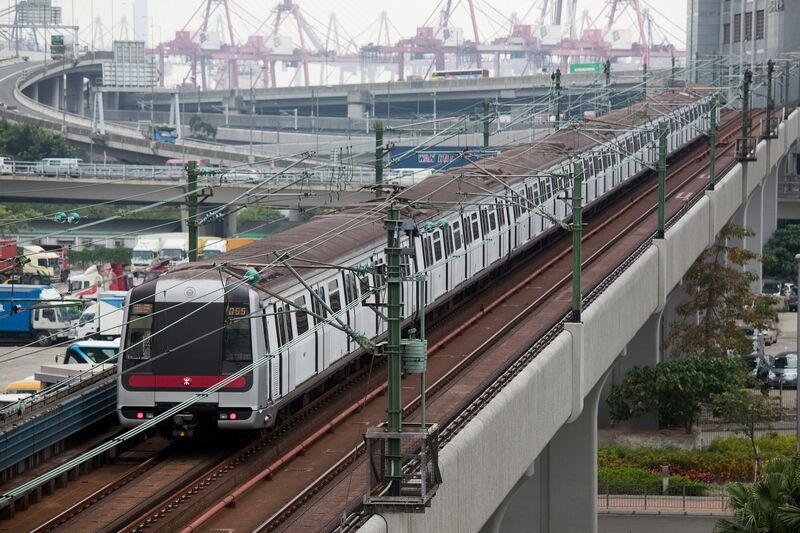 The MTR, first built in 1979, now carries more than five million passengers daily. There were a total of 1.9 billion trips in 2014. It runs about 8,000 train trips for about 20 hours each day. Adult fares start from HK$3.50 (S$0.63). The combined length of Singapore's five MRT lines, the North-South, East-West, North-East, Circle and Downtown Lines, is currently 162km. This means that passengers experience a delay of at least five minutes in only one out of 1,000 trips, or every 300,000km travelled. Trains arrive every two minutes during peak hours, and between three and six minutes at other times. Last year, the MTR experienced 273 delays of eight minutes or more, as well as 12 major delays that lasted over 30 minutes. Five major delays were recorded in the first half (January to June) of 2015. In Singapore, commuters were also subject to 12 major delays in 2014. According to SMRT, train arrival times on the North-South and East-West Lines are accurate within two minutes of schedule at least 96 per cent of the time, while a delay of more than five minutes occurs for every 137,000km travelled. Over HK$6 billion (S$1.08 billion), or 37 per cent, of MTRC's revenue in 2014 was spent on maintenance, renewals and service improvements on the rail network. 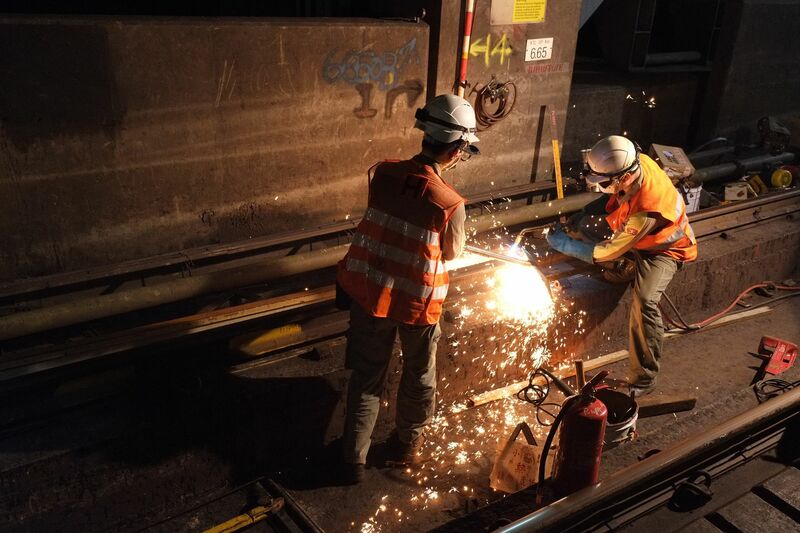 Half of that amount is devoted to daily cleaning and inspection works; the other half to capital expenditure such as replacing train door guides to prevent foreign objects from jamming there. Mr Khaw, in a blog post, admitted that Singapore had under-invested in rail maintenance. SMRT spent S$121.9 million - 19 per cent of its rail revenue - in the 2015 financial year on maintenance and repair, which excludes maintenance spending by the Land Transport Authority of Singapore. The operator employs 4,500 full-time staff, plus another 1,300 outsourced staff. They walk the 221km of track every three days and ride a vehicle that uses ultrasonic techniques to check for defects not visible to the human eye - a regimen that is among the most frequent in the world. Recently, Mr Khaw revealed on his blog that the entire track system, including tunnels and viaducts, in Singapore is checked once every four to seven days. 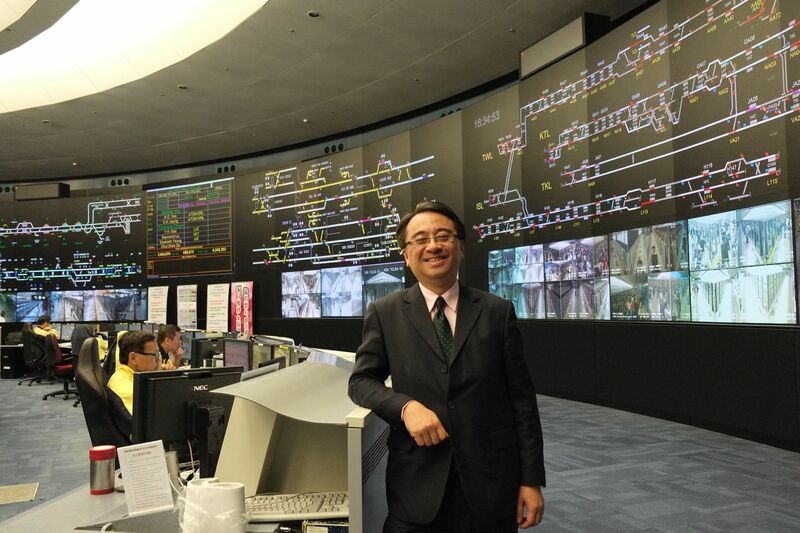 Called the Super Operations Control Centre (OCC) and located inside the Tsing Yi MTR station, it was completed two years ago and is crucial for coordinating rapid responses when crises erupt. For instance, incoming traffic from other lines will be held at bay and interchange stations alerted. If needed, coaches are activated to bus stranded commuters. The OCC also has a black "incident box" that starts a countdown once a problem occurs, reported CNN in an article in March. The aim is to resolve every issue within two minutes.